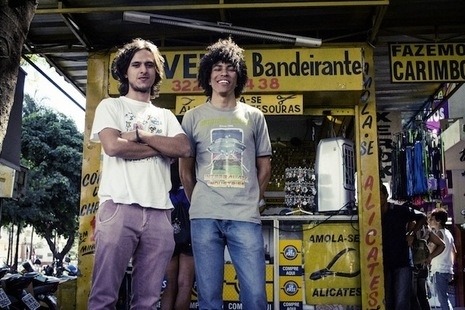 Fernando Almeida and Benke Ferraz met in high school in the central Brazilian city of Goiânia, far from the thriving cultural metropolises of São Paulo and Rio, yet nevertheless in the shadow of the icons of their homeland’s great musical heritage — not bossa nova and samba, however, but psychedelic pop. Still in their late teens, the music they make together, recorded on borrowed gear and with self-taught technology in their parents’ basements, shares the spirit and soul of Tropicalismo, but it has also blossomed in the light of the current international DIY underground. Almeida is the poet and singer, Ferraz is the multi-instrumentalist and gear-head, and together, as Boogarins, they write songs that reach beyond their years and any restrictions of geography or genre: timeless pop untethered from categorizations. After releasing his debut album “Cabinet of Curiosities” in 2013, the now 25 year old Dutchman has been taking Europe and the USA by storm. Jacco’s melodic palette colors music with a more U.K.-sensibility, where minor chords & plush harmonies brush up against strings, mellotrons, harpsichords & an occasional squeezebox. The overall feel is more Zombies than Left Banke and more Nirvana (UK) & Billy Nicholls than Beach Boys & Van Dyke Parks. After another US and EU tour in 2013, Gardner got a European Breaking Borders Award. An award that honors young EU artists and was given in the past to artists like Adele, Mumford & Sons and Damien Rice.